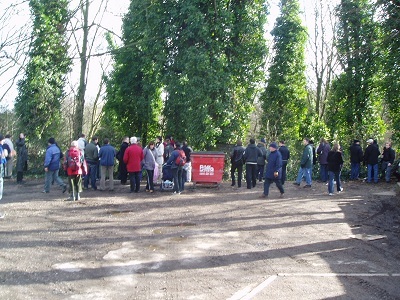 The walk started at Alexandra Palace, where the branch line once ended. The walk was to follow the course of the branch line from its terminus, all the way to Finsbury Park, where it once joined with the mainline tracks. 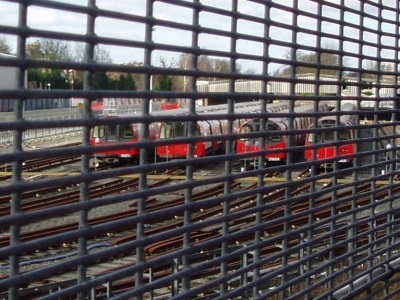 The conversion to electricity would have meant that new platforms would have been provided at Finsbury Park along with a connection to the tunneling that runs between Moorgate and Finsbury Park, today served by mainline trains. Regular services would then have been provided between Moorgate and Finsbury Park. The railway started in the shadow of the impressive Alexandra Palace building. 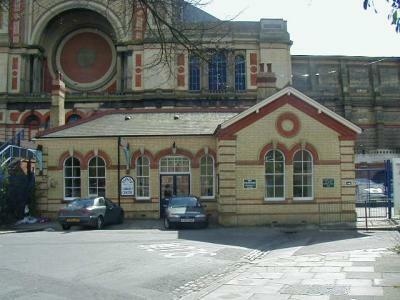 In this photograph, the original station building (now a community centre), can be seen being dwarfed by "Ally Pally". To its left, a bridge can be seen that leads over the station area into one of the exhibition hall's original entrances. 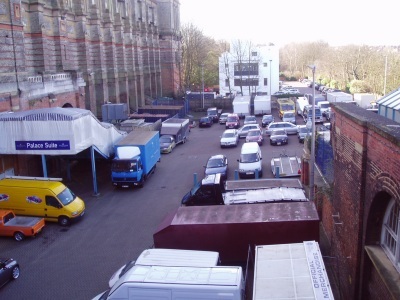 Behind the station, all traces of the railway have been removed and the area is now used as a loading and parking area for the Alexandra Palace exhibition centre. The station originally comprised of a single island platform. When the line closed, it was demolished and converted into the parking and loading area that can be seen today. 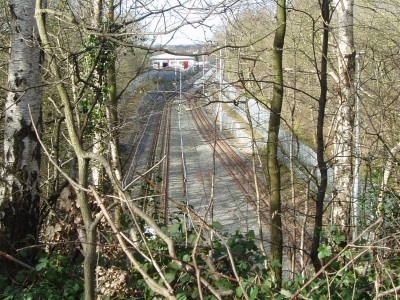 In this picture which shows where the station yard would have been with the original station building to the right, it is clear why following the direct route of the railway would be difficult. A new health club has been built on the land (the white building) and the course then passes through some privately owned land. 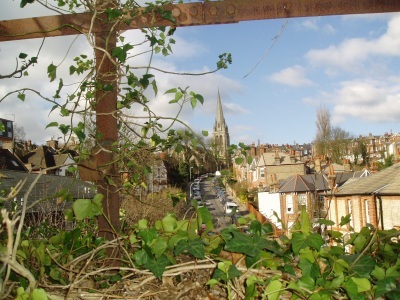 It isn't long before this bridge can seen (left photograph, below) - the first real sign of the railway's original course. 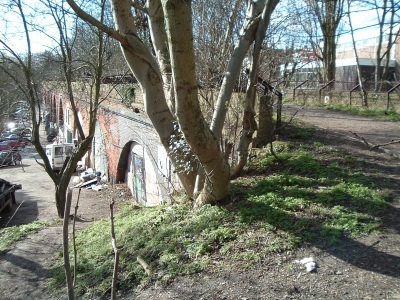 The railway ran over this bridge, which is now disused and has trees growing on it as well as around it! 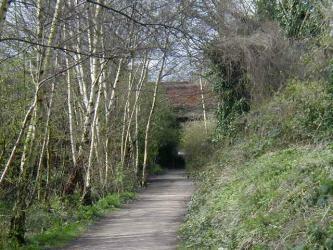 For this first part of the walk, the footpaths ran alongside the railway's course rather than on top of it, with much of the original course being either totally overgrown or in private ownership. At the location where we were first able to actually get access to where the tracks would have been, it became apparent how wide the tract of land was that the railway occupied. The railway was actually twin track for its entire length, though this didn't seem to justify how wide the land it occupied seemed. 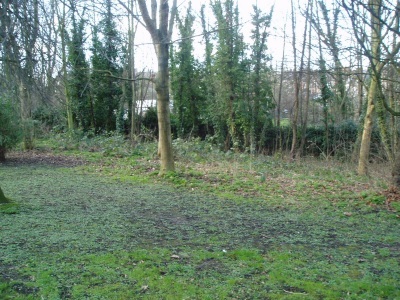 It wasn't long before we arrived at the location of where Muswell Hill station once stood. Originally, this station would have had two platforms and nearby, an electricity sub-station building was constructed, ready for electrification. 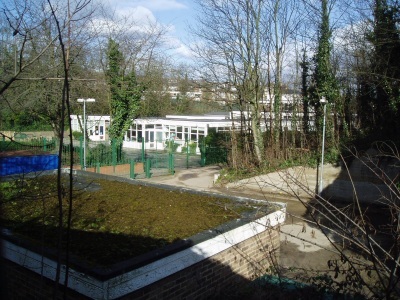 Today, both station and sub-station are long gone and the land is now occupied by Muswell Hill Primary School. 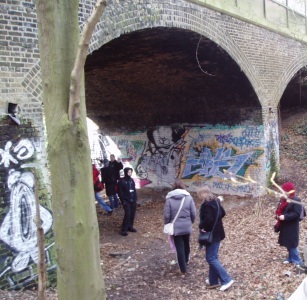 Once we'd crossed under the main road, we reached the first part of the official Parkland Walk. 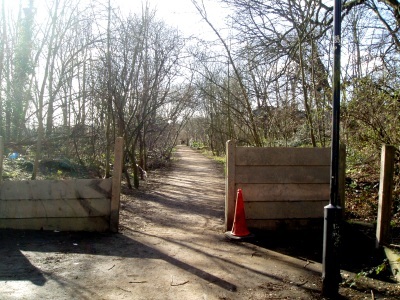 Neglected for years, maintenance for this stretch of pathway is now the responsibility of Haringay Council, who have turned the walk into a pleasant footpath with seating areas and information boards. 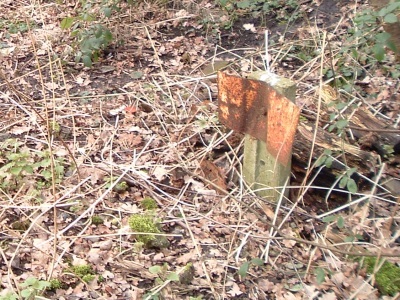 It wasn't long before we came across evidence of the electrification work that had been started, but never completed. A concrete slab, containing several pipes leading underground was visible. This is where electric cabling would have been diverted underground. 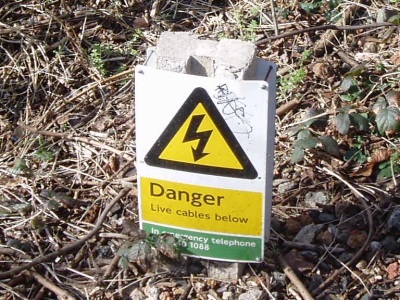 It was evident that the Parkland Walk was still in use as a conduit for electricity - it was apparent that there were buried cables running the length of the walk as there were many recently installed signs warning of live cables beneath the ground. These new signs replaced some older signs that had rusted to the point where there was no writing left on them! 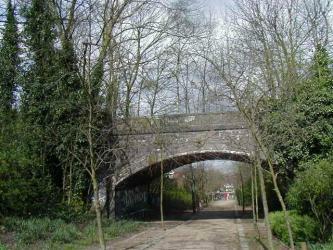 As we continued, the footpath reached a viaduct, from which stunning views over London's skyline could be seen, looking southwards. On this viaduct, many cable holders were observed. This again was evidence left over from the railway's original intention to convert to electric operation. Moving on, we left the viaduct behind us and we were soon in amongst the trees. Around here, someone pointed out a strange looking structure. 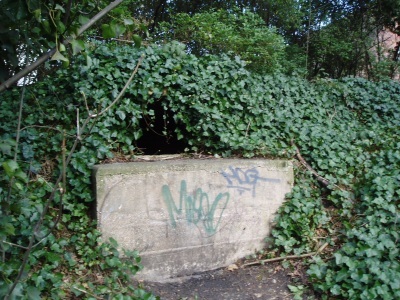 A concrete pill box, now covered with ivy containing sacks of grit (presumably now used as a storage area by the council). Looking inside the structure, it could be seen to have been constructed using pre-cast concrete beams and looked much sturdier than just a shack. I have seen several World War Two bunkers that look very similar to this structure and it has been suggested that this could well have been its original use. A little further on, and we reached the point where the track would have crossed Muswell Hill Road where it junctions with Cranley Gardens. 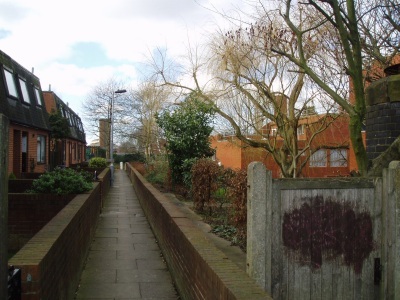 This would have been the location of Cranley Gardens station, but little remained to show it's past existence. Today, modern housing development occupies its place - and in fact, the original course of the railway becomes harder to follow. We turned left on the road and then right onto a footpath that, after passing the housing development ran in parallel with the track's course, now on the property of a water treatment company. 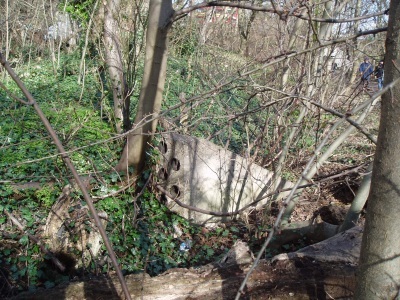 Right at the back of the property, some more tangible evidence of the railway's past existence could be seen. 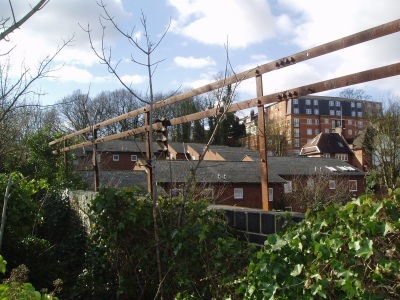 In what was now used as a turning yard, a row of well preserved cable holders can be seen! I'm not sure if the cables/pipes running behind them had anything to do with the original electrification or whether they were added at a later date. 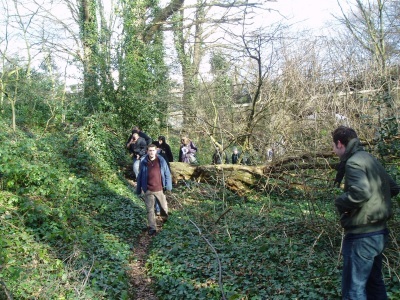 Immediately after, the footpath diverged - we could either cross a foot bridge or go into some parkland. Either way, this would mean diverting away from the track bed. 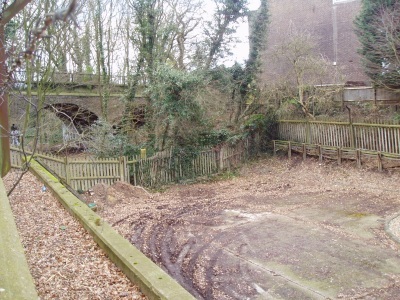 However, before doing so, we went down and investigated along part of where the track used to run where, although now overgrown, a footpath could be seen leading away under the arches of the footbridge. It wasn't long before we came across a derelict building. The roof had long gone as had much of the walls and what was left was heavily covered in graffiti! It was obvious though that it was more than just a storage shed - it had a fireplace, suggesting that it may have been a linesman's hut, where men working on the rails could shelter. Another suggestion was that it could have been a track paralleling hut, built for the electrification programme. Not long after this point, the path of the trackway enters Highgate Depot. Here, part of the path is now occupied by rails that have been laid as test tracks for a new signalling system for the Northern Line. 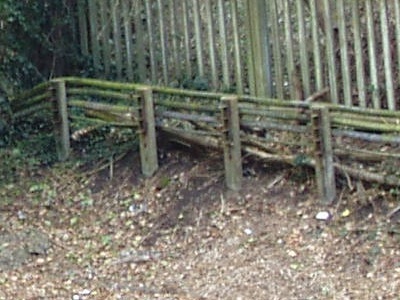 The tracks stopped immediately beneath our feet, where the original line would have run into a pair of tunnels, to emerge into Highgate's high level station. 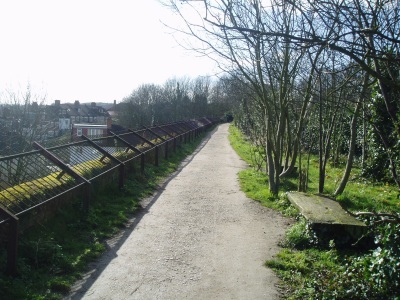 This short stretch of track (seen in the second photograph) is known today as Wellington Sidings and the line running to Alexandra Palace would have branched off to the right just before the kink in the tracks. 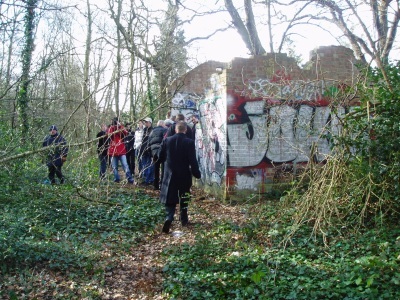 For us, we had to double back through Queen's wood and then hike down Muswell Hill Road before being able to see where the tunnels emerged. In the car park behind The Woodman pub, we were able to look down onto the platforms and buildings of Highgate's high level platforms. 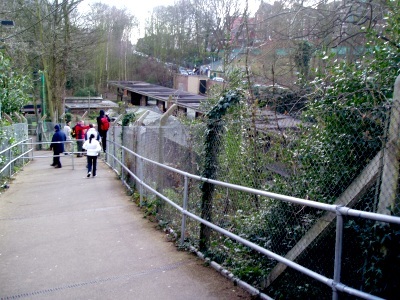 A short walk down a footpath which led to Highgate Underground station gave even clearer views of the station area. Unfortunately, we weren't able to visit the location on this walk, but I visited there in 2001 - and that's where we go next! Onwards to part 2 - Highgate High Level Platforms. Station pictures taken April 7th 2001. Highgate 1970 platform photograph © 1970,2002 Peter Wright and is used with permission.